***Please note, Special Education in New York State for Children Ages 3-21 A Parent's Guide is currently under revision and will be posted as soon as available. Links and phone numbers in this document may not be current. Please email speced@nysed.gov should you have questions regarding the information in the currently posted document. 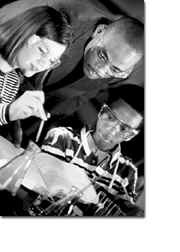 The State Education Department does not discriminate on the basis of age, color, religion, creed, disability, marital status, veteran status, national origin, race, gender, genetic predisposition or carrier status, or sexual orientation in its educational programs, services and activities. Portions of this publication can be made available in a variety of formats, including braille, large print or audio tape, upon request. Inquiries concerning this policy of nondiscrimination should be directed to the Departments Office for Diversity, Ethics, and Access, Room 152, Education Building, Albany, NY 12234. Requests for additional copies of this publication may be made by contacting VESID  Special Education Policy Unit, Room 1624 OCP, Albany, NY 12234 or your local SETRC. Parents and family members are critical partners, along with school district personnel, in the education of their children. Parents provide essential information to teachers and administrators, play an important role in decisions made about their children and can be a key to supporting high expectations for their children during their school years. All students will meet high standards for academic performance and personal behavior and demonstrate the knowledge and skills required by a dynamic world. All educational institutions will meet Regents high performance standards. The public will be served by qualified, ethical professionals who remain current with best practice in their fields and reflect the diversity of New York State. Education, information and cultural resources will be available and accessible to all people. enjoy integration in the economic, political, social, cultural and educational mainstream of American society. The Committee arranges for an evaluation of the students abilities and needs. The IEP is reviewed and, if needed, modified or revised by the Committee at least once a year (annual review). The student has a reevaluation at least once every three years, to review the student�s need for special education programs and services and to revise the IEP, as appropriate. A reevaluation may also occur when conditions warrant or when requested by a parent or teacher. If you have a preschool child and you have noticed that your child is not developing skills such as walking, talking or playing like other young children, you may want to talk to your family doctor. He or she may be able to reassure you that children develop at different rates and your child is within the normal developmental scales. If, however, the doctor is concerned, or you are still not comfortable with your childs progress, you may make a referral to your school districts Committee on Preschool Special Education (CPSE). If your three-year-old child received services from the Early Intervention Program and is in need of special education services, he or she will need to transition (move) from the Early Intervention Program into the preschool special education program.The Early Intervention official from your county must give written notice to the CPSE in your local school district that your child may be transitioning from the Early Intervention Program. With your consent, a transition plan must be developed no later than three months before your child's third birthday. If your school-age child is having difficulties in school, first talk to his or her teacher. Many schools offer supports for students within regular education such as psychological services, speech and language improvement services, curriculum and instructional modifications and Academic Intervention Services. If you, the teacher and principal have not been able to help your child, your child may have a disability which affects his or her learning. To find out, you can make a referral to the Committee on Special Education (CSE). A referral is a written statement asking that the school district evaluate your child to determine if he or she needs special education services. This written statement should be addressed to the chairperson of your school districts Committee or your school principal. The referral may result in a request to have your child tested to see if he or she needs special education services. In some cases, you may want to meet with the principal before agreeing to test your child to discuss other ways to assist your child. As a result, the referral may be withdrawn. You, the parent, can always make a referral for your child. Your childs teacher or a professional in your childs school may also make a referral to the Committee. Additional people who may make a referral include doctors, judicial officers (such as a family court judge or a probation officer) or a designated person in a public agency. For a preschool child, any of the people mentioned above may make a referral to the CPSE. In addition, a referral may also be made by someone from an Early Childhood Direction Center, an approved preschool program or an Early Intervention Program that serves children with disabilities from birth to age three. A student over eighteen and younger than 21 who is an emancipated minor may refer him or herself. What are the Committee on Preschool Special Education (CPSE) and the Committee on Special Education (CSE)? Every school district has a CPSE and a CSE that decide a child's special education needs and services. The CPSE is responsible for children with disabilities ages 3-5 . The CSE is responsible for children with disabilities ages 5-21. Some school districts also have Subcommittees on Special Education (sometimes called the SubCSE). In New York City the Subcommittee is sometimes called the School Based Support Team. You are a member of the Committee that will recommend special education services for your child. You know your child better than anyone else and you have valuable knowledge to bring to Committee discussions. Other members of the Committees are people who have a broad range of experiences planning for and/or working with students with disabilities. Together you will work to make sure that special education programs and services are provided to meet your childs needs. Throughout this Guide, these Committees will be referred to as the Committee, or in some cases, more specifically as the CSE or CPSE. What is an individual evaluation? After your child is referred for an evaluation for special education, you will be asked to give your written consent to have your son or daughter evaluated. The results of an evaluation help determine if special education services or programs are needed. An evaluation includes various assessment tools and strategies. These tests determine what your childs learning difficulties may be and how those difficulties affect his or her participation and progress in the general education curriculum. This evaluation is at no cost to you. As a parent, it will be helpful to share with the Committee the important information you have about your childs skills, abilities and needs, including copies of any evaluations you have on your child. The Committee must consider information from parents when making decisions. What is your role in the individual evaluation process? Parents of preschool children will be asked to select an approved evaluator from a list of evaluation sites. If you have concerns about providing consent, you can talk to the Committee chairperson. If you do not provide consent for your preschool child (ages 3-5) to be evaluated, the Committee on Preschool Special Education will take steps to make sure that you have received and understand the request for consent for evaluation of your child but the district may not go forward without your consent. If you have a school-age child, the school district is responsible for providing the evaluation. 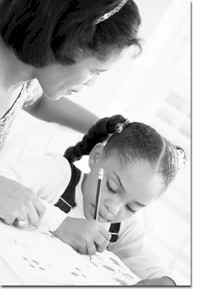 As a parent, you have input as to the tests and assessments to be conducted on your child. Before an evaluation is conducted, you will be asked for your suggestions about evaluating your child and be given information about the kinds of tests that will be used. If you have questions about the purpose or type of evaluation proposed, you should discuss them with the chairperson of the Committee. What is included in an individual evaluation? Evaluations must be comprehensive and provide information about your childs unique abilities and needs. Evaluations include information from parents and a group of evaluators, including at least one special education teacher or other person with knowledge of your childs (suspected) disability. An evaluation will provide information that relates to your child in his or her classroom. It will tell what your child needs to be involved in to participate and progress in general education curriculum. Tests and assessments, given as part of an evaluation, must be given in your childs language by people who are trained, knowledgeable and/or certified to give the tests. The tests must be fair and not discriminate racially or culturally. The results of the evaluation must be provided to you. This may involve a meeting with the Committee in which the technical language and scoring of individual tests and assessments are explained to you, usually by the professionals who administered the tests or assessments. In addition, you must be given a copy of the evaluation report. You may also bring in evaluation information which the Committee must consider. If you feel that an evaluation conducted by the Committee is not appropriate or if you disagree with the results, you can obtain, and request that the school district pay for, an independent educational evaluation (IEE). What happens after the individual evaluation? After the evaluation is completed, you will be invited to a meeting, as a member of the Committee, to talk about the results. You should attend this meeting because you have important information to share about your child. If you can not attend, you have the right to ask the district to change the time or place of the meeting. At the meeting, the Committee will review the evaluation results. Based on that information, and information that you provide, the Committee decides if your child is eligible or ineligible to receive special education programs and/or services. In order to be eligible, a child must have a disability that affects his or her ability to learn. In New York State, a child ages 3-5, may be identified as a "preschool student with a disability" if the CPSE identifies the child as having a disability because of mental, physical or emotional reasons. Some preschool children may be identified as having autism, deafness, deaf-blindness, hearing impairment, orthopedic impairment, other health impairment, traumatic brain injury or visual impairment. Preschool students must meet one of the eligibility criteria to be determined eligible as a child with a disability who requires special education. The criteria are described in section 200.1(mm) of the Regulations of the Commissioner of Education. What happens if your child is ineligible for special education services? may make a referral under Section 504 of the Rehabilitation Act of 1973 (a Federal civil rights law) to another multidisciplinary team within the school. You will receive a written notice that explains the Committee�s decision, and the information on which that decision was based. If you disagree with the decision of the Committee, you may request mediation and/or an impartial hearing to resolve the disagreement. What happens if your child is eligible for special education services? If the Committee decides your child is eligible for special education services, the Committee must identify the one disability category that most appropriately describes your child. The determination of a disability category is used solely for eligibility purposes and does not prescribe the program or services your child will receive. The Committee will develop and implement an individualized education program (IEP) to meet your childs needs. You will receive a written notice that explains the Committees decision, and the information on which that decision was based. If you disagree with the decision of the Committee, you may request mediation and/or an impartial hearing to resolve the disagreement. For school-age students, special education services and programs may include specially designed instruction and supplementary services provided in the regular class, consultant teacher services, related services, resource room programs, special classes, home and hospital instruction or placement in an in-State or out-of-State approved private school, and/or 12 month special service and/or program. For preschool students, special education services and programs may include related services; special education itinerant services; a half-day preschool program; a full-day preschool program; 12 month special service and/or program; or an in-state residential special education program. Before recommending that special education services are provided in a setting which includes only preschool children with disabilities, the CPSE shall first consider providing special education services in a setting where age-appropriate peers without disabilities are typically found. If your child is eligible for special education services and/or programs, the Committee must meet to develop a plan to meet your childs unique needs. This plan is called an Individualized Education Program (IEP). any unique needs related to your childs disability (such as communication needs, behavior, etc.). 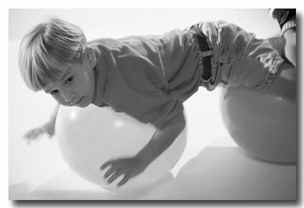 The IEP evolves from a discussion that begins with how your child is doing in school (current level of functioning). From that base, the Committee agrees on the goals your child should be working toward. The Committee then discusses the supports and services and modifications that the child needs to reach those goals. Finally, the Committee determines where those special education services will be provided (location and placement). The location where services will be provided and the students placement must be in the least restrictive environment. For preschool children with disabilities, special education services can be delivered in day care, a regular preschool program or other early childhood program in which you have enrolled your child. If your child has been receiving preschool special education programs or services, you and the Committee will need to discuss your childs school program before he or she enters Kindergarten. Sometime during the year before your child is eligible to enter school, the Committee will decide if your child continues to have a disability and/or if he or she continues to require special education programs or services. If so, the CPSE will make a referral to the CSE. If eligible, at age five, your child may be recommended to receive special education services or programs in the districts Kindergarten program or other educational setting. However, you are not required to enroll your child in the districts Kindergarten program. Your child may be recommended to receive special education services at home, or while attending a nursery school, day care center or other early childhood program in which you have enrolled your child at your expense. If your child is eligible for special education services and/or programs, the Committee (of which you are a member) must meet to develop a plan to meet your childs unique needs. This plan is called an Individualized Education Program (IEP). Some of the requirements of the IEP are listed below. Your childs name and his or her disability. Your childs current abilities, needs, and evaluation results. your school-age childs involvement and progress in the general education curriculum. Supports for your childs teachers to help implement your childs IEP. 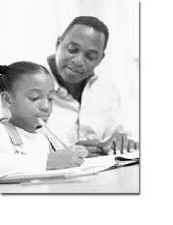 How and when you will receive reports on your childs progress. Your childs education must be in the least restrictive environment or "LRE". LRE means that placement of students with disabilities in special classes, separate schools or other removal from the regular educational environment occurs only when the nature or severity of the disability is such that, even with the use of supplementary aids and services, education cannot be satisfactorily achieved. your childs placement is based on his or her IEP. your childs placement is as close as possible to his or her home. Unless your childs IEP requires another arrangement, your child should be educated in the school he or she would have attended if he or she did not have a disability. The Board of Education is responsible for arranging for appropriate special education programs and services to be provided to your child. There are timelines for implementing (starting) your childs IEP. There may be no delay in implementing the IEP while deciding who pays for the special education services. You will receive a copy of the IEP at no cost to you, and your childs teachers and service providers (who are involved in implementing the IEP) will have access to a copy of the IEP. Each teacher and service provider will be informed about his or her specific responsibilities to implement the IEP and specific accommodations, modifications and supports that must be provided to your child. 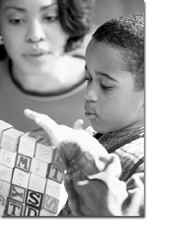 How can we be sure my childs program is meeting his or her needs? At least once a year, you and other members of the Committee will review your childs IEP. You may request a meeting sooner than that. Together, you will make decisions about any necessary changes to your childs program. This is called an annual review. At least once every three years, your school district will reevaluate your child. This is called a reevaluation (formerly called the triennial evaluation). A reevaluation may also occur if conditions warrant one (for example, when a functional behavioral assessment is needed as a result of disciplinary action) or if either you or your child�s teacher requests a reevaluation. If additional data are needed as part of this reevaluation, your school district will ask your written consent prior to conducting these tests. A reevaluation must be sufficient to determine your child�s individual needs, educational progress and achievement, your child�s ability to participate in regular education classes as well as your child�s continuing eligibility for special education services. No one knows more about your child than you do. By working together, you and the staff of the school can help your child have a successful school year. If you become concerned about your child�s educational programs or special education services, contact your child�s teacher immediately and share information about what you see. Informal meetings and phone conferences help you build a partnership with the teacher and school. You may also ask for a meeting with school administrators or the CPSE or CSE to discuss your concerns about your child's education. To prepare for the meeting or phone conference, make a list of your questions, concerns, ideas and information about your child. Ask your child if there is anything that you should share. During the meeting, discuss your list, take notes and ask to see examples of your child's work, for specific examples of classroom behavior and ways to help your child at home. If you do not understand something, ask for an explanation. Try to arrive at a mutually agreed-upon solution to any problems or concerns. After the meeting, talk with your child about the good things that were discussed, the problems that need to be worked on and the steps that will be taken to help your child. Keep working with your child�s teacher and if necessary, ask for a follow-up meeting or phone conference. We encourage you to be an active member of your childs educational planning. We know that children benefit more from their education if their parents are involved and well informed. As a team member, you need to understand the special education process, your rights, and how to become involved in your childs program. Now that you are familiar with the special education process, you will want to know more about your rights and protections under law and regulations. You must be given opportunities to participate in the discussion and decision making process about your childs need for special education. You will receive notice at least five school days before meetings of the CSE or CPSE inviting you to participate in the development of the recommendations for your childs educational program. You must receive written notice several times during the process of identifying, evaluating, placing your child and providing your child with special education services and/or programs. If your district refuses to do any of these things, you must be notified. Certain actions may not be carried out without your written consent. If you disagree with decisions made by the Committee, you may ask for meetings, mediation and/or impartial hearings to resolve (settle) disagreements between you and your school district about your childs evaluations, identification (classification), placement or educational program (the provision of a free appropriate public education). in no case more than 45 calendar days after you ask. before any meeting about your childs individualized education program (IEP). before any due process hearing about your childs special education needs. ask for and read records about your child. ask for and receive explanations and interpretations of the records from your school district. have a person you choose read your childs records. ask for and receive copies of education records. The school district may charge a reasonable cost for copies of records, unless the cost would effectively prevent you from inspecting or reviewing those records. Costs for searching or getting information are not allowed. read only the information about your child. You may not read any information about other children. ask for and receive a list of the educational records held and used by the school district, and to know where the records are kept. be told by the school district when information about your child is no longer needed to provide educational services to your child. Information that is no longer needed must be destroyed at your request. know that a permanent record of your childs name, address, telephone number, grades, attendance, classes attended, grade level completed and year completed may be kept for-ever. 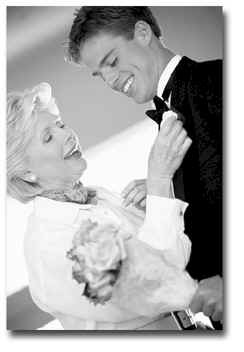 Records may be needed for other purposes such as obtaining social security benefits. 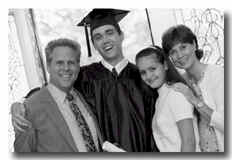 The rights of parents concerning education records are given to the student at age 18 unless you have obtained guardianship. ask the school district to amend (change) information if you believe it is wrong, misleading or violates (harms) the privacy or other rights of your child. receive a decision about your request to change your childs records within a reasonable period of time from the date the school district receives your request. request a hearing conducted (run) by any person who does not have a direct interest in the hearing. This could be a school official. be notified (told) in writing if the hearing officer decides to change your childs educational record. If the hearing officer decides that the records do not need to be changed, you must be notified in writing. This notice must tell you of your right to put a written statement (note) in your childs records to explain the information or give reasons why you disagree with the decision. Any written note of explanation you place in the records of your child must be kept by the school district as part of your childs records. If the school district gives a copy of your childs records or the disagreed part to any person, your written note must also be given to that person. personal information, such as your childs social security number. An individual evaluation means any procedures, tests, or assessments, including observations, given individually to your child to find out whether he or she has a disability and/or to identify his or her special education needs. The term does not include basic tests given to groups of children in a school, grade or class. The results of the evaluation must be shared with you. When the CSE or CPSE has conducted an evaluation for determining your childs eligibility for special education, you must be provided a copy of the evaluation report and documentation of determination of eligibility. In addition, if you are the parent of a preschool child, the CPSE must also give you a copy of the summary report of the findings of the evaluation. An independent educational evaluation (IEE) of your child means a procedure, test or assessment done by a qualified examiner who does not work for the school district or other public agency responsible for the childs education. You may get an IEE at district expense if you disagree with the evaluation arranged for by the school district. "At district expense" means that the school district pays for the full cost of the test. If you ask the school district to pay for the IEE, the school district may ask, but not require, you to explain the reason why you object to the districts evaluation. The school district may not unreasonably delay either providing the IEE or initiating an impartial hearing to defend the districts own evaluation. The IEE must be obtained under the same criteria, including the location of the evaluation and the qualifications of the examiner, as the criteria the school district uses when it initiates an evaluation. get an IEE of your child. have the IEE be at district expense if you disagree with the district�s evaluation. If you ask for the IEE to be at district expense, the school district may ask for an impartial hearing to show that its evaluation is appropriate. If the impartial hearing officer finds that the district evaluation is appropriate, you have the right to obtain and submit an IEE to the CSE or CPSE, but the district does not have to pay for it. receive information about where an IEE may be obtained, the school district�s criteria under which the evaluation is obtained (including the location of the evaluation and the qualifications of the evaluator), and any district criteria regarding the reimbursement of IEE, when you ask your school district to pay for an independent educational evaluation. have an IEE at public expense if the impartial hearing officer asks for this evaluation as part of an impartial hearing. have the results of an IEE considered by the Committee as part of its review and in the development of your child�s IEP. The results of the IEE can be used as evidence at an impartial hearing regarding your child. There are many times when the school district must notify (tell) you in writing of its proposed (planned) action and ask for your written consent (permission) to carry out this action. you have been informed in the language you speak, or other kind of communication that you understand, of all the information about the activity for which your permission is asked. you understand and agree in writing to the activity for which your permission is needed. your permission is given freely and may be withdrawn at any time. However, if you withdraw your consent, it is not retroactive (it will not apply to actions already taken by the district). before reviewing existing data (information) as part of an initial evaluation or a reevaluation. administering (giving) a test or other evaluation that is given to all students (unless parents of all students must give consent before the test is given). to conduct a reevaluation if the school district can show that it has taken reasonable measures to get your consent, and you did not respond. If you, as a parent of a school-age child, do not provide consent for an initial evaluation, the district will inform you that you may ask for an informal meeting with the school district to discuss the evaluation. You may ask questions about the evaluation and may bring someone to advise you to the meeting. At that meeting, you will meet with the person who made the initial referral for special education and someone who is most familiar with the evaluation. If at the meeting, you and the person who made the referral agree in writing that there is no need for a referral, the referral will be withdrawn. If, within 30 calendar days after the referral is received, you and the school district do not agree to withdraw the referral and you continue to refuse consent, the district must initiate (start) an impartial hearing to decide whether to conduct the evaluation. For preschool children, the district will take steps to make sure that you have received and understand the request for consent. If you, as a parent of a preschool child, do not provide consent for the evaluation, the district will not take any further action on the referral. As a parent of a child with a disability or suspected disability, you will receive notices to tell you about proposed special education services, meetings and your rights. There are three kinds of notices that you will receive at various times throughout the special education process. Notice is a written statement provided to you in the language you speak or other kind of communication that you understand unless it is clearly not possible to do so. If the language you speak at home (your native language) or other kind of communication you understand is not a written language, the district must take steps to make sure that the notice is translated orally or by other means (such as sign language) so that you understand the notice. You have the right to ask for an interpreter, translator or reader for the meetings. The school district must keep written records that these steps have been taken. Prior notice is written notice that is given to you a reasonable time before the school district proposes to or refuses to start or change the identification, evaluation or educational placement or the provision of a free appropriate education to your child. It must be provided to you in the language you speak or other kind of communication that you understand unless it is clearly not possible to do so. a description of the action offered or refused by the CSE or CPSE. an explanation of why the school district will or will not take action. a description of any other options (choices) the school district considered and the reasons why those choices were refused. a description of each evaluation, procedure, test, record or report the school district used as a reason to offer or refuse an action. a description of any other factors that are relevant to the districts decision. a statement that you have protection under the law. This legal protection is called procedural safeguards and they are listed in procedural safeguards notice. If the procedural safeguards notice is not included with the prior notice, the prior notice will describe the ways you can obtain (get) a copy of a description of the procedural safeguards. sources for you to contact to get assistance in understanding the special education process and your rights. If the prior notice relates to an action by the school district that requires your consent , the district will give you notice at the same time they request your consent. You should also receive prior notice before your child graduates from high school with a local or Regents diploma or before he or she receives an Individualized Education Program (IEP) diploma. Whenever the Committee proposes to conduct a meeting to develop or review your childs IEP or to discuss the provision of a free appropriate public education to your child, you must receive a meeting notice. It must be provided to you in the language you speak or other kind of communication that you understand, unless it is clearly not possible to do so. You must receive a written meeting notice at least five days before the meeting unless you and the school district agree to meet within five days or in certain meetings relating to discipline procedures. If the proposed meeting time or place is not good for you, you may call the school district to ask for a change that is good for both of you. If you are unable to attend the meeting, the district can use other ways to encourage your participation. They may call you before a meeting occurs to talk about evaluation results and ask you for information, or they may ask you to participate in the meeting by telephone. the purpose of the meeting and the date, time, location and names and titles of the persons expected to attend the meeting. a statement that you have the right to participate as a member of the Committee. a statement telling you that you may bring anyone to the meeting who has knowledge or special expertise about your child. a statement of your right to ask the school physician to be at the meeting of the CSE (This does not apply to parents of preschool children.) You must do this in writing at least 72 hours before the meeting. a statement that you may request in writing that the additional parent member of the Committee not participate in the meeting of the Committee. if the meeting is a Subcommittee meeting, a statement that you may make a written request to the full Committee if you disagree with the recommendation of a Subcommittee. for students for whom a meeting will be held to consider transition services, a statement that indicates the purpose of the meeting and that the student will be invited and lists any other agencies that will be invited to send a representative. for preschool students, a statement that you have the opportunity to address the Preschool Committee in writing or in person. School district staff may have informal or unscheduled conversations about issues such as teaching methodology, lesson planning or coordinating your childs services if those issues are not addressed on the IEP. They may also work together to prepare for the meeting. These activities are not considered "meetings" for which the school is required to send you a "meeting notice." Procedural safeguards notice provides a full explanation of all your legal rights under law. The school district must make sure that the procedural safeguards notice is provided to you in the language you speak or other kind of communication that you understand, unless clearly not feasible to do so. If necessary, the district must take steps to make sure that the notice is translated orally or by other means so that you understand the notice. The school district must keep written records that these steps have been taken. upon initial referral for evaluation of your child. with each notice of a CSE or CPSE meeting. upon reevaluation of your child. when the district receives a letter from you requesting an impartial hearing. opportunities to present complaints to initiate due process hearings. the students pendency (where he or she will receive services) during due process proceedings. procedures for students who are subject to placement in interim alternative educational settings. requirements for unilateral placement by parents of students in private schools at public expense. due process hearings, including requirements for sharing evaluation results and recommendations. State complaint procedures, including information about how to file a complaint and timelines. the parents right to receive information upon request about getting free or low-cost legal and other services. for preschool students, procedural safeguards notice will indicate that, if parents do not provide consent for initial evaluation or initial provision of special education services, no further action will be taken by the district until the parent does provide consent. A school district is not required to pay for the cost of education of your child at a private school or facility if the school district has made a free and appropriate public education (FAPE) available to your child. However, if you place your child in a private school because you and the school district disagree that an appropriate program has been made available for your child, you have the right to request an impartial hearing to seek reimbursement for the private school placement. the private placement is appropriate to meet your child�s educational needs. A hearing officer or court may find that a parental placement is appropriate even if it does not meet the State standards that apply to education programs provided by the school district or the State. provide the school district with written notice at least ten business days (including any holidays that occur on a business day) prior to removing your child from the public school. However, the cost of reimbursement may not be reduced or denied because you did not give this notice if you are unable to read and cannot write in English; or if providing notice would likely result in physical or serious emotional harm to your child; or if the school prevented you from providing the notice; or if you did not receive the procedural safeguards notice that tells you about this requirement, then the cost of reimbursement may not be reduced or denied because you did not give this notice. 3. If the school district gave you written notice prior to your removing your child from public school that it wants to evaluate your child, you must make your child available for the evaluation. If you refuse to make your child available, any request for tuition reimbursement may be reduced or denied. 4. If you do not inform the school district or make your child available for the evaluation, or if there are other unreasonable actions on your part, an impartial hearing officer or court may reduce or deny the reimbursement of costs of the private school for your child. If your child is being evaluated for the first time to decide whether he or she has a disability, theBoard of Education must arrange for appropriate special education programs and services within 60 school days of receiving your consent to evaluate your child. If the recommendation is for placement in an approved in-State or out-of-State private school, then the Board of Education will arrange for such programs and services within 30 school days of the Board receipt of the recommendation from the Committee. If your child is a child with a disability whose special education programs and services are being reviewed, the Board of Education must arrange for appropriate special education programs and services within 60 school days of the referral for review. The referral for review means the projected date of review as noted on your childs IEP or the date of the request for such review by you, your childs teacher or another appropriate individual. If the recommendation is for placement in an approved in-State or out-of-State private school, then the Board of Education will arrange for such programs and services within 30 school days of the Board receipt of the recommendation from the Committee. If your preschool child is being evaluated for the first time to decide whether he or she has a disability, the CPSE must provide a recommendation to the Board of Education within 30 school days of the date the district received your consent for evaluation. The Board of Education must arrange for the preschool student with a disability to receive the recommended special education services or programs starting with the July, September or January starting date of those approved programs or no later than 30 school days from the date the CPSE made its recommendation. Note:There may be no delay in implementing a preschool or school-age students IEP, including any case in which the payment source for providing or paying for special education is being determined. If you have concerns about your childs educational program, discuss these concerns with appropriate staff at the school district. If you disagree with evaluation results or other proposed actions of the Committee, such as the recommendation, placement or implementation of the program, you should express your disagreement and dissatisfaction. By clearly sharing your concerns and the reasons for your concerns, you are making sure that the other members of the Committee understand your point of view. Try to work out differences informally with your school district as soon as they happen. Ask for a meeting to talk in person or schedule a phone conference to discuss your concerns with (a) your childs teacher(s) and/or related service provider(s), (b) principal or assistant principal, (c) Chairperson of the CSE or CPSE or (d) Instructional Support Team. Write down what was discussed at the meeting, staff present and steps identified to resolve your concerns. If necessary, request a follow-up meeting within a reasonable amount of time to revisit your concerns and to ensure that the steps identified above were implemented as planned. If it is not possible to resolve disagreements informally, mediation is a good method to work differences out in a timely way. You also have the right to request an impartial hearing. Special education mediation is a voluntary process for you and the school district work out disagreements about the recommendations of the CSE or CPSE. All school districts must offer mediation to parents. You and a person chosen by the Board of Education meet with a qualified and impartial mediator from the Community Dispute Resolution Center (CDRC) in your county who helps in reaching an agreement about the recommendation for your child. If you decide to use mediation, you must ask for it by writing to the Board of Education. If you decide not to use mediation, someone may call you from the CDRC to talk about the benefits of mediation, but this cannot deny or delay your rights to an impartial hearing. Any agreement reached by the parties is set forth in a written mediation agreement. The CSE or CPSE must immediately meet to amend your childs IEP to be consistent with the mediation agreement. Discussions that occur during mediation are confidential. Mediation is at no cost to you or the school district. mediation run by a qualified and impartial mediator from a Community Dispute ResolutionCenter. mediation held in a timely manner and at a place that is good for you and the school district. have any agreements made during mediation written down. Written agreements may be presented as part of the record at an impartial hearing. have discussions that occur during the mediation process be confidential and not used as evidence in any impartial hearing or civil proceedings. Parties to the mediation process may be required to sign a confidentiality pledge before starting the mediation. request an impartial hearing at any time. Unlike an impartial hearing where the hearing officer makes the final determination as to what is appropriate for your child, a mediator assists you and the district to reach a mutually agreeable determination. By asking questions and discussing information with you and the school district representative, the mediator helps both parties to have a more complete understanding of each others concerns and reach an agreement about your childs special education program in a cooperative and timely manner. Of the 375 special education mediation sessions that took place in New York State during 1998-99, over 91% resulted in agreement. The following comments were made by school district representatives and parents after participating in mediation. At one point I felt pressured by the school district and expressed my concern. I was told I would have as much time as needed to talk and this came true. I was pleased and surprised by the results. I also felt that how the mediation was explained and handled made me, as parent, feel more comfortable. I didnt expect everything to go as well as it did from past experiences. But, I think everyone that has differences should try mediation. This is a peaceful way to resolve issues of any kind. The mediation process was very helpful in resolving the difficulties between the school district and the childs services team. The district was far more sensitive to our concerns once the mediation was involved. Thank you. It was handled calmly and professionally. It allowed all parties to "air" their concerns on neutral grounds. Results were positive and achieved in one session. Both parties were willing participants and interested in finding a solution. The experience was pleasant, efficient and all parties were satisfied. It helped resolve an issue that could not be resolved at a CSE meeting. It avoided the need for a costly impartial hearing. An impartial hearing is a formal proceeding in which disagreements between you and the school district are decided by an impartial hearing officer appointed by the Board of Education. A parent or a school district may initiate a hearing on matters relating to the identification, evaluation or educational placement of a student with a disability, or the provision of a free appropriate public education to the child. 1. Your request for an impartial hearing must be made in writing to the Board of Education. describe the facts relating to your concerns. state your childs name and address. name the school your child attends. If you do not give the information stated above, it may result in a reduction of an award of attorneys� fees by a court. However, the school district may not deny or delay your right to an impartial hearing if you do not provide that information. For three- and four-year-old children, the school district may not begin a hearing if you refuse to give consent to initial evaluation or the initial provision of special education to your child. If you do not give consent for an individual evaluation, the CPSE will implement the districts practices and procedures to make sure that you have received and understand the request for consent for evaluation of your child but the district may not go to a hearing to obtain consent. In addition, if you do not consent to an initial evaluation, you must be notified that you can ask for an informal conference where you can ask questions about the proposed evaluation. If you do not provide consent for the initial evaluation or the initial provision of special education services, no further action will be taken by the CPSE until such consent is obtained. 5. The impartial hearing is at no cost to you. You may have to pay your own attorneys fees. If requested by you, the school district must provide you with information on free or low-cost legal and other relevant services. If a hearing officer requests an independent educational evaluation as part of the hearing, the cost of the evaluation must be at public expense. 6. The decision of the hearing officer will be based only on recorded information presented at the hearing and will provide the reasons and facts for the decision. The decision will be binding (final) unless you or the school district appeal to the State Review Officer. have and be advised by an attorney and/or by individuals with special knowledge or training about the education of students with disabilities. present evidence and testimony, and question, cross-examine and require the attendance of witnesses. receive evidence, including evaluations and recommendations, at least five business days before the hearing (or three business days in the case of an expedited due process hearing) and to stop such information from being presented that was not exchanged between both parties on time. receive, at your option, a written or electronic word-for-word record of the hearing and word-for-word findings of fact and the decision of the IHO. have the hearing open to the public. have your child present during the hearing. have an interpreter for the deaf or an interpreter fluent in your native language (the language normally used by you), if necessary, at no cost to you. have an impartial hearing conducted at a time and place that is reasonably convenient for you and your child. receive an expedited due process hearing for certain disciplinary decisions. The rotational process to select the IHO must begin immediately, but not later than two business days, when the school receives your written request for an impartial hearing. The IHO must be available to initiate the hearing within 14 days. The findings of fact and decision of an IHO in an impartial hearing must be issued no later than 45 calendar days after the receipt of a request for a hearing for a school-age child, or 30 calendar days for a preschool child. However, the IHO may extend the time for a specific period at the request of you or the school district. If an extension has been granted, the findings of fact and decision must be issued no later than 14 days from the date the record is closed including any post hearing submissions and the transcript is received. The decision of an IHO in an expedited due process hearing for discipline purposes must be completed within 15 business days after the receipt of the request for the hearing, provided that the IHO may grant specific extensions at your or the school district�s request. The IHO must mail a copy of the written or, at your option, electronic findings of fact and the decision to the parties within five business days after the last hearing date, but in no event later than 45 calendar days after receipt of the request, without exceptions or extensions. You have the right to have an impartial hearing conducted at a time and place that is reasonably convenient for you and your child. be employees, agents or officers of the school district or of the Board of Cooperative Educational Services (BOCES) of which your school district is a member. be an employee of the State Education Department or be an employee of a public agency that has ties to the education or care of your child. be employed by a school district, school or program serving students with disabilities placed by a school district Committee. An individual employed by such schools or programs may not serve as an impartial hearing officer for two years following the end of his or her employment. have an interest that would make it difficult for him or her to be fair in the impartial hearing. have been involved in the development of the recommendation to be reviewed. If you have a complaint about the conduct or competence of an IHO, you may send a signed written statement and supporting documentation to the State Education Department. your interests are not the same as or are in conflict with those of your child. the interests of your child would be best protected by someone else. An impartial hearing officer may assign a guardian ad litem to participate fully in the impartial hearing for your child unless a surrogate parent has already been appointed. A guardian ad litem is appointed from the list of surrogate parents or is a pro bono attorney (an attorney who takes cases at no cost). In the event a guardian ad litem is assigned, the impartial hearing officer must make sure that your due process rights are protected throughout the hearing. the school district, after reasonable efforts, cannot find the parent. the childs parents or guardian are not known. the child is a ward of the State. must have the knowledge and skills to represent (speak for) the child. cannot have any interests which conflict with the interests of the child he or she represents. cannot be an officer, agent or employee of the school district, the State Education Department or the agency which is involved in the education or care of the child. may be an employee of a nonpublic agency that only provides non-educational care for the child. may be the foster parent of the child who meets the above qualifications. A foster parent does not have to be on a list approved by the Board of Education. The person is not an employee of the agency just because he or she is paid by the agency to serve as a surrogate parent. The decision made by the impartial hearing officer is final (must be followed by you and the school district) unless you or the school district ask for a review of the decision of the impartial hearing officer (called an appeal) by the State Review Officer. An appeal must be in writing and be received by the State Review Officer within 40 calendar days after you and the school district receive the decision of the impartial hearing officer. Procedures and timelines for submitting an appeal are specific and must be followed exactly to avoid delay or dismissal. Parents may seek the help of an attorney or advocate to file an appeal. make sure that steps taken at the hearing agree with due process requirements. obtain additional spoken testimony or written evidence, if necessary. direct that spoken argument be heard if the State Review Officer decides that such spoken argument is necessary. If a hearing is held, all the parent rights listed under impartial hearings continue. A review involving spoken testimony and/or written evidence (at the discretion of the State Review Officer) must be held at a time and place that is reasonably convenient to the involved parties. make an independent decision after a complete review of the hearing record. make a final decision within 30 calendar days after receiving the request for a review. The State Review Officer may extend the time beyond the 30 days at the request of you or the school district. The extension must be for a specific time. The reason for the extension must be included in the record. mail copies of the written or, at your option, electronic findings of fact and decision to you or your attorney and the Board of Education within the 30-day period. The decision of the State Review Officer is final unless either you or the school district seek review of the State Review Officers decision in either State Supreme Court or Federal District Courts within four months from the date of the State Review officers decision. H. Pendency: The students placement during due process hearings. During any hearing or appeal, your child will remain in his or her current educational placement. This is sometimes referred to as "pendency", "stay-put" or "status quo." Your preschool child will stay in his or her current placement during any hearing or appeal, unless you and the school district agree in writing to other arrangements. A child who has received early intervention services and is now of preschool age may, during hearings and appeals, receive special education in the same program as the early intervention program if that program is also an approved preschool program. If your preschool child is currently not receiving special education services and programs, he or she may, during any hearings or appeals, receive special education services and programs if you and the school district agree. During any hearing or appeal, your school-age child will stay in the school placement he or she is in now, unless you and the school district agree in writing to other arrangements. If the disagreement involves initial admission to public school, you have the right to have your school-age child placed in a public school program with your consent until all proceedings are over. If the due process proceeding concerns consent for an initial evaluation, your child will not be evaluated while the proceeding is pending. A child who received preschool special education services and is now school-age may, during hearings and appeals, remain in the same program as the preschool program if that program also has an approved school-age special education program. If a State Review Officer issues a placement decision that agrees with the parents, pendency during any subsequent appeal to a court is the placement decided by the State Review Officer. If the State Review Officer issues a placement decision that agrees with the school district, pendency during any subsequent appeal to a court is your childs current educational placement. 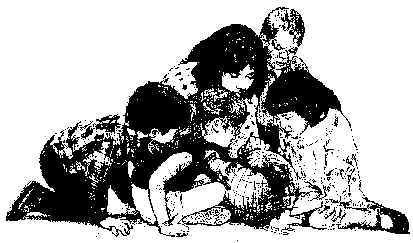 If your child is receiving services in an IAES for discipline purposes, he or she must remain in that IAES until an impartial hearing officer makes a determination about placement or until the end of the time period of the removal (but not more than 45 calendar days), whichever occurs first, unless you and the school district otherwise agree. However, if the Committee proposes to change the placement at the end of the IAES and you challenge the proposed change in placement, after the term of the IAES expires, pendency for your child will be the current educational placement (placement prior to removal to the IAES). A hearing officer may place your child in an IAES again because the school district believes that it is dangerous for the student to stay in his or her current educational placement. A court may award reasonable attorneys fees to the parents or guardian of a child with a disability if they are the party who wins the hearing. relating to any meeting of the CSE or CPSE unless the meeting is held as a result of an administrative proceeding or court action. for mediation that is conducted prior to the filing of a request for an impartial hearing. if a written offer of settlement is made by the school district within 10 calendar days prior to the proceeding, you do not accept the offer within 10 calendar days and the court or hearing officer finds that the decision is not more favorable to the parents than the offer of settlement. the complaint is requesting compensation services. This only applies to alleged violations that occurred not more than three years prior to the date of the written complaint. You will receive a letter stating that your complaint has been received and telling you about your right to submit additional information about the complaint either orally or in writing. Your complaint will be investigated. A determination must be made within 60 calendar days of when your complaint was received unless exceptional circumstances exist with respect to a specific complaint. You will receive a written, final decision that addresses each claim you raise and contains the findings of fact, and the reasons for the final decision. Any part of the complaint that is currently being addressed in an impartial hearing cannot be investigated. The procedures for the discipline of students with disabilities must be in accordance with section 3214 of the Education Law and Part 201 of the Regulations of the Commissioner of Education. While the school has the authority to suspend or remove your child for violating the schools code of conduct, you and your child have certain rights throughout the process. to be notified immediately by telephone, if possible, and to receive written notice within 24 hours of a proposed suspension of five school days or less. The notice should describe the incident, proposed suspension and your childs rights. You also have the right to request an informal conference with the school principal prior to the suspension unless your child's presence in school poses a danger. to receive written notice of your opportunity for a superintendents hearing, if the suspension is for more than five consecutive school days, which describes your childs rights to counsel and to question and present witnesses. for your child to receive alternative instruction during the first ten days of any suspension or removal to the same extent as nondisabled students, if your child is of compulsory school age. for your child to receive education services necessary to enable your child to progress in the general education curriculum and appropriately advance toward achieving his or her IEP goals if your child is suspended or removed for more than ten school days in a school year. for your child also to have services to address the behavior that resulted in the disciplinary action if your child is removed to an interim alternative educational setting. to have the CSE develop or review and implement a behavioral intervention plan for your child that is based on the results of a functional behavioral assessment, if your child is suspended or removed for more than ten school days in a school year. to a CSE meeting to determine whether your childs behavior which led to the disciplinary action is related to his or her disability (manifestation determination) when suspension or removals results in your child being suspended or removed for more than ten school days in a school year (disciplinary change in placement). for your child not to be suspended or removed for behaviors that are determined to be related to your childs disability, except for suspensions or removals ten school days or less in a school year and for removals to interim alternative educational settings. to challenge, in an expedited due process hearing before an impartial hearing officer, the decision of the CSE regarding the relationship between your childs behavior that resulted in a disciplinary action and his or her disability (manifestation determination). to challenge, in an expedited due process hearing before an impartial hearing officer, any placement decision related to discipline. If you have additional questions about disciplinary procedures, you can contact your Regional Associate at Special Education Quality Assurance Regional Office. You should refer to these laws and regulations for specific rules and requirements. In addition to the teachers and administrators in your school district, many other people can assist you in understanding the information in this Guide. These include individuals at your local Special Education Training and Resource Center, Parent Centers and Networks and the Quality Assurance Regional Office of Vocational and Educational Services for Individuals with Disabilities of the New York State Education Department. Updated form effective March 2014 - This sample form may be used to submit a complaint (also known as a request for an impartial hearing) to resolve a disagreement about the referral, evaluation or placement of a student or regarding the provision of a free appropriate public education for a student under the Individuals with Disabilities Education Act. This Guide, other publications of interest, answers to frequently asked questions and other resources are available on the Internet at the Special Education website, at http://www.p12.nysed.gov/specialed. This site also links parents to a variety of State and Federal resources. You can access the Internet from a computer at home or at your local library. your legal rights as a parent. The phone numbers and locations of the five Special Education Quality Assurance Offices are listed below. You should ask to speak to the Regional Associate responsible for your school district. The Special Education Regional Offices are responsible for monitoring special education services through a collaborative Quality Assurance system and providing technical assistance to schools and residents of their regions. To locate the Special Education Quality Assurance Office nearest you, refer to VESIDs website, http://www.p12.nysed.gov/specialed/quality/qaoffices.htm for a map of New York State by BOCES and New York City Supervisory Region. Parent Training and Information Centers (PTIC), Community Parent Resource Centers (CPRC), and Parent Centers are funded by State and Federal grants. These centers provide workshops on parent rights, necessary services, advocacy and other relevant presentations for parents of children with disabilities. Call them for information and/or assistance. The network of Early Childhood Direction Centers (ECDCs), administered by the New York State Education Department, is a resource for professionals and parents of children with disabilities, birth through five years of age. ECDCs provide information about programs and services available in the community and referral assistance in accessing these services. For information about the ECDC in your region, refer to VESIDs website http:/www.p12.nysed.gov/specialed/ecdc or call (518) 486-7462. Independent Living Centers are private, community-based programs which provide a variety of services to people with disabilities. These nonresidential, nonmedical service centers provide education and awareness activities within their communities to break down barriers, allowing people with disabilities to participate fully in community life. Services provided by centers include: peer counseling; information and referral; advocacy; housing assistance; transportation; services referral (interpreters, readers, attendants); independent living skill counseling and training; architectural barrier consultation; equipment maintenance; repair and loan; and TTY relay. For information about the Independent Living Center in your region, refer to VESIDs website http:/www.acces.nysed.gov/vr/lsn/home.html or call (518) 474-2925. The SETRC network, administered by VESID, provides local information, training and resources related to the education of students with disabilities. SETRC training specialists provide parents, school district staff and administrators, agency representatives and other interested individuals with resources, consultation and training programs based on local needs and statewide goals. For information about the SETRC office in your region, refer to VESIDs website http:/www.acces.nysed.gov/vr/lsn/home.html or call (518) 486-7462. Regional Transition Coordination Sites (TCS) assist local communities in implementing transition planning and services. They coordinate existing resources within a geographic area to provide information, training and technical assistance to local school districts, families, students and community agencies. They also assist at the local and community levels to expand services to enhance the transition of students with disabilities from school to postsecondary educational opportunities, adult vocational rehabilitation services and employment. For information about the TCS in your region, refer to VESIDs website http:/www.acces.nysed.gov/vr/lsn/home.html or call (518) 474-7566. The VESID Vocational Rehabilitation Regional Offices provide services to individuals with disabilities to prepare them for employment. Services include: physical and/or psychological examinations; vocational evaluation; guidance and counseling; medical services (to improve ability to work); job and work adjustment training; meal allowances, books, tools and transportation for on-the-job support; other goods and services needed to obtain a job; job coaching; supported employment services; training in job seeking; job placement services and follow-up services. For information about the Vocational Rehabilitation Office in your region, refer to VESIDs web-site http://www.acces.nysed.gov/vr/ or call 1-800-222-JOBS (1-800-222-5627). Located within the Office of Children and Family Services, CBVH is responsible for the administration of programs and services to legally blind individuals to enhance independence and facilitate opportunities to participate in the community. CBVH provides a range of services for individuals who are legally blind through the independent living and vocational rehabilitation provisions of the Federal Rehabilitation Act, as well as through programs serving children and older individuals who are blind. For information about CBVH, call 1-866-871-3000 (TTY: 1-866-871-6000). The Commission on Quality of Cares Advocacy Services Bureau coordinates a statewide protection and advocacy program for people with disabilities and their families. The Bureau offers training programs to help parents understand special education laws and regulations. These programs are co-sponsored by local groups. For information about the Advocacy Services Bureau, call (518) 381-7098 (collect) or contact the website at cathm@cqc.state.ny.us. The Coordinated Children Services Initiative (CCSI) is a multi-agency initiative that assists localities in providing children with emotional and behavioral disabilities at risk of residential placement with services in their homes, schools and communities. The goal of CCSI is to reduce residential placements by developing a local infrastructure that brings together child serving systems to provide a comprehensive and integrated system of care that supports families in staying together. For more information contact VESID at (518) 473-9307. The Office of Mental Health (OMH) is responsible for developing plans, programs and services for the care, treatment, rehabilitation, education and training of individuals with mental illness. The Office provides direct services at nineteen adult, six childrens and three forensic psychiatric centers and provides fund allocation and certification of non-State-operated mental health programs. For more information contact the Bureau of Children and Family Services at (518) 474-8394 or visit the OMH web site at http://www.omh.ny.gov/ . The Office of Mental Retardation and Developmental Disabilities (OMRDD) operates 13 Developmental Disabilities Services Offices (DDSOs) responsible for providing care, treatment, habilitation and rehabilitation services to individuals with mental retardation and developmental disabilities. In partnership with consumers, families, staff, private providers and local governments, the DDSOs provide person-centered assistance to improve the quality of life of individuals and their families through the provision of housing, employment and family support services. For more information contact (518) 473-9689 or visit the OMRDD web site at http://www.opwdd.ny.gov/ . The Office of Children and Family Services (OCFS) provides operational support and policy direction to local social services districts and youth bureaus across the State and is responsible for the operation of 48 statewide residential and day placement facilities for youth. Programs and services provided through OCFS include child and adult protective, child welfare, domestic violence, pregnancy prevention; family services, youth development and delinquency prevention; juvenile justice; and after care programs. For more information contact (518) 473-7793 or visit the OCFS website at http://www.ocfs.state.ny.us/main/. The Office of Alcoholism and Substance Abuse Services (OASAS) administers a comprehensive program of prevention, intervention and treatment services for persons addicted to alcohol and other drugs. OASAS plans, develops and regulates the States system of alcoholism and substance abuse treatment agencies; operates 13 Alcoholism Treatment Centers; licenses and regulates local, community-based providers of inpatient, outpatient and residential services; and monitors programs to ensure quality of care and compliance with State and national standards. For more information contact (518) 473-3460 or visit the OASAS web site at http://www.oasas.ny.gov/.